VIP Protection Europe provides bodyguards to protect important personalities or individuals, businessmen, executives who are at risk, and who are likely to be the victims of an aggression or violence. Our goal is to guarantee the safety of all customers. Our bodyguards are trained to spot and identify threats, with discretion and professionalism. The intense training that VIP Protection Europe subjects to its recruits aims to ensure that our close protection officers possess all the practical and theoretical knowledge to ensure an exceptional work. All our bodyguards have already undergone a preliminary training to become an official close protection agent, they have also already acquired and mastered the techniques and bases necessary to be a high-profile officer. Our professionals know how to evacuate a person, and how to calculate the risks of a situation. We provide personal security for VIPs, business executives, celebrities, and all at-risk individuals. The objective is to keep our clients safe, by analysing all threats that may arise. Our officers work with professionalism and discretion. People who have concerns about an aggression, a kidnapping or terrorism can be sure that a bodyguard is especially trained to deal with these situations. In addition, ours agents are exercised to blend in the crowd if needed and to look like »a simple friend ». That’s because we have the best bodyguard training, so efficient protection is assured. We take care of the best bodyguard training to protect corporate executives and celebrities or leaders, all over Europe, from Brussels till London, Berlin or Paris. 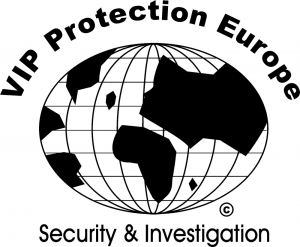 VIP Protection Europe is a security company that uses a lot of resources to keep the client safe. Personnal close protection training for Executive & VIPs An agent can accompany someone to a public event, and identify instantly potential dangers, or escape routes. All the action to keep someone safe is then quickly initiated. The bodyguard training that we use constantly assure a maximal protection. All the bodyguards can design a close personality protection system and organize a perfect mission execution. They master management techniques and know the different types of threats and the means used (international terrorism, ideological extremism, kidnapping, explosive or remote attacks …). Ours bodyguards master indeed close protection security, and all intervention techniques. The bodyguards are fit for defence and always physically at the top. They also have strong communication skills, and the ability to work during long shifts. Their already strong communication skills, flexibility to act quickly during emergency situations, are even further improved thanks to some exercises. And last but not the least: loyalty and dedication are the definition of a good training. This ensures the best job, therefore the best protection.